Using Biblical examples of how God often “shocks” us to get us in line with His purposes, the book provides deep truths about God’s ways and how they relate to our Christian walk so that we can better see what He is doing and hear what He is saying. These revelations result in heart enlightenment and freedom from wrong mindsets and idols, as areas of deception become unveiled. The reality of God’s holiness and justice is shown in relation to our being accountable for our actions and words, providing an equipping power to move us forward into our destiny. This book is written for Christians desiring to see their lives change so that they can walk in Godly character and authority, and for leaders who desire to fulfill their calling with purity of heart before the Lord. There are truths in this book that God desires Christians in every stage of maturity to know and embrace. We all have areas of spiritual blindness which hinder us from moving into the deeper places He wants us to go. Each chapter is “stand-alone,” allowing readers to choose what speaks to their heart at the moment. 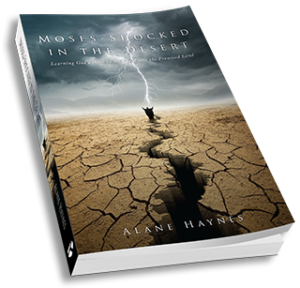 You may read a sample from Moses – Shocked in the Desert on the excerpt page.